Derek Jeter moves up the all time hit list with a big performance last night. And it is clear that Alex Rodriguez and Ichiro Suzuki will be the next to join the 3,000 hit club. Who will come after them? 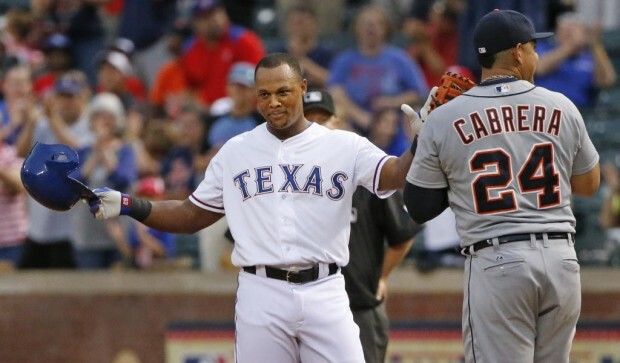 And have you noticed how Adrian Beltre has quietly become a no doubt about it Hall of Famer? Vance Worley, Melky Cabrera, Jake Odorizzi, Adeiny Hechavarria, Derek Jeter, Marlon Byrd and Homer Bailey all added to their totals for Who Owns Baseball? This entry was posted in Albert Pujols, Alex Rodriguez, Mike Trout, New York Yankees, Sully Baseball Daily Podcast and tagged 3000 Hits, Adrian Beltre, Los Angeles Angels of Anaheim, Miguel Cabrera, Mike Trout, Sully Baseball Podcast. Bookmark the permalink.